Playa Panama in northwestern Guanacaste is one of Costa Rica’s pristine “Blue-Flag” certified beaches and where you will find Case Conde Beach Front Hotel. This All-Inclusive Boutique property. Located just 20 minutes from Daniel Oduber International Airport (LIR), you will soon be enjoying a dip in the pool or listening to the gently lapping waves as you relax in lounge chairs on the beach. Iguanas roam freely and Howler monkeys can be heard and seen in the trees throughout the grounds. From Casa Conde there is plenty to keep you busy. You can enjoy a day of fishing or scuba diving in the Gulf of Papagayo. Or if you want to go offshore or are a more experienced, advanced diver, head out to the Bat Islands. Snorkeling, paddle boarding and kayaking can be arranged, as well as a plethora of day tours like Zip-Lines, Waterfalls, Sloth & Monkey Tours, River Safaris, Dive or Surfing Lessons, Mangrove Kayaking, Horseback Riding or ATV Tours. This beach front location with its low-key, relaxing atmosphere make it the perfect spot for couples, families and groups. 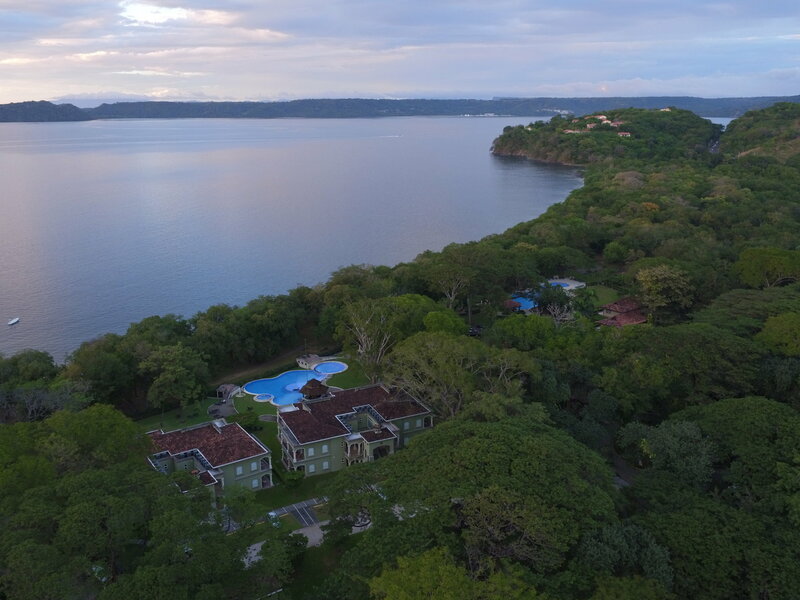 The well-manicured lawn stretching to the beach make this one of the best hotels for relaxing by the beach in the Guanacaste area. The restaurants and swim up bars keep guests happy, and Casa Conde is a popular venue for weddings, receptions and other events. Hotel amenities: Free Parking (Self-Parking), Swimming Pool, Free Wi-Fi, Gift Shop, Laundry & Dry Cleaning Services, Two Restaurants, Coffee Shop, One Dry Bar and Two Wet Bars. Destination Weddings can be arranged, please ask our agents to coordinate. Standard Rooms (24, some with partial ocean view and some with garden view), Superior Suites (16) and extremely spacious Master Suites (8) are equipped with two Queen Beds or one King Bed. Free Wi-Fi, Mini-Bar, Coffee maker, Safe, Hair Dryer, writing area with seat. Santa Rosa. A la Carte menu. Iguana & Monkeys Wet Bars – Poolside and Jacuzzi Service. Traveling with more people or solo traveler? Our vacation experts are waiting to assist you and prepare the trip as you have always dreamed. *The Hotel Prices reflect the least expensive rates during low season and are subject to change at any time. You will receive a 100% accurate price when you inquire with us. The rates listed here, are per person, include taxes, domestic transport, tours as described, unless otherwise indicated. Price does NOT include international airfare or optional travel insurance or any other services not expressly mentioned. Prices are expressed in US dollars unless indicated otherwise. Bill Beard is the true pioneer of scuba diving in Costa Rica, started diving from dug out canoes in 1970. Bill Beard’s Travel specializes in individual, group, honeymoon, family vacation packages, scuba diving, snorkeling, sailing, surfing and adventure tours. Our attention to detail defines us. Bill Beard Costa Rica © 2018. All rights reserved.